LottoKings Review: Affordable Tickets for 19 Lotteries! Lotto Kings offers easy purchases for lottery players, but there are big points for improvement. LottoKings might seem new, but it's been around far longer than it looks. 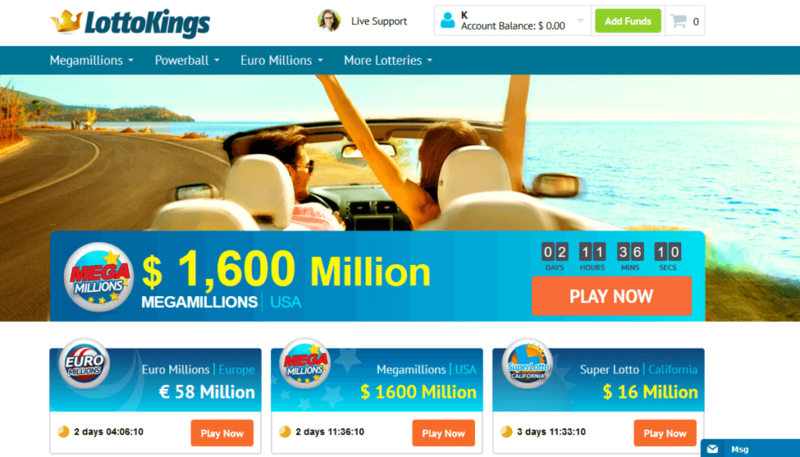 Lotto Kings is a rebrand of CongaLotto, one of the most well-known lottery sites out there. Playing is pretty easy here. Entries to popular lotteries like the US Powerball and Mega Millions can be purchased straight from the navigation bar. You can even choose between solo play or syndicates. Or you can ditch lotteries altogether and play millionaire raffles instead. LottoKings has airtight security and a government license to boot, so you know you’re in safe hands. That said, there are only a few supported payment methods, and LottoKings doesn’t offer a mobile app. More importantly, LottoKings uses a hybrid business model: every purchase can be handled as either an official ticket purchase or a bet on the lottery’s outcome. The catch is that LottoKings decides this at its discretion once you’ve made your purchase. Should you give LottoKings a try? Read our full review to find out. Lotto Kings might seem like a new player in online lottery, but it’s actually got several years of service under its belt. LottoKings is a rebrand of CongaLotto, one of the more popular lottery websites. It’s owned and operated by Legacy Eight Curaçao NV, which is based in Willemstad, Curaçao. Since the rebrand, LottoKings has had 11,446 winners and paid out a total of $1,491,800 in prizes. LottoKings either registers your purchase as a bet on the lottery’s outcome or buys an official lottery ticket on your behalf. Unfortunately, you don’t get to choose which method LottoKings will actually use. This is one of my big issues with LottoKings. When you check the website’s Terms of Service, you’ll see that it decides to treat your purchase as an official ticket buy or a lotto bet at its sole discretion. What’s confusing is that LottoKings promises to send you the physical ticket if you happen to hit a jackpot. However, its Terms of Service outlining their payout system indicates that it’s possible your jackpot will be paid by a hedging provider instead of the official lottery operator. Single Play: Buy entries for yourself. You must buy a minimum of 3-6 tickets per purchase depending on the lottery. Syndicates (Group Play): Buy shares in a larger set of tickets. You can pick which numbers you want to play. You split both the cost of the ticket set and any resulting winnings with other players. Multiple draws: When you buy a ticket, you can choose to use the same numbers in upcoming draws. LottoKings automatically records your choices and enters these in the next games. Subscriptions: Similar to multi-draw purchases, a subscription automatically buys you tickets for all upcoming draws within your chosen period. You can cancel at any time, but LottoKings will charge you a $10 administrative fee for any subscriptions cancelled before their end date. LottoKings buys you tickets to official lottery games. This means you’re an official participant, and you can claim any winnings directly from the lottery operator. LottoKings’ one-page registration form can take a few minutes. To register for a LottoKings account, you’ll need to supply a bit more information than usual. Aside from your username, email, and password, LottoKings also requires your full name, birthdate, address, and contact numbers. If you’re already registered, you can login just by clicking the “Sign in” button at the top of the LottoKings website. LottoKings occasionally emails promo codes to its users. If you want discounts on your LottoKings purchases, sign up and keep an eye on your inbox. LottoKings offers a good spread of lotteries from around the world. LottoKings offers 19 lotteries from the USA, Europe, and Latin America. You get a good mix of blockbuster games like the US Powerball and Mega Millions alongside other lotteries like Spain’s La Primitiva or Australia’s Oz Lotto. The Cleverest: lists lotteries according to their cost/benefit ratio, i.e., where you can get the best chances of winning at the most affordable ticket price. LottoKings carries two Powerball games: the US Powerball and Powerball Australia. You can buy just 1 line (ticket) or you can get up to 6 lines (tickets) in one go. If you plan to buy a lot of tickets, you’ll have to go through the checkout process several times. This can be inconvenient. You can opt to “buy ahead” for as many as 50 draws. You can also opt for a subscription, which enters the same number combinations for as many draws as you like. Syndicates are on a separate page. If you change your mind about going solo, you’ll have to jump to a different part of the website. LottoKings includes a few tidbits about the Powerball lottery, including basics like how many prize levels there are. However, this isn’t as much information as you get from other lottery sites. If you’re new and want more information, this isn’t the best place to look. You can also play the US Mega Millions lottery at LottoKings. Like the Powerball, you’ll get the option to buy from 1 to 6 tickets in one go. You can also place multi-draw orders or subscribe to ensure entries in future draws. Syndicates are available, but they’re on a separate section of the website. You’ll also find information about Mega Millions. However, like the Powerball section, you won’t get much more than the basic facts. LottoKings displays results for all 19 lotteries offered. Checking results on LottoKings can take a second longer than usual, though. Unlike other lottery sites, you don’t get the results displayed at the top of the homepage. You’ll need to scroll to the bottom of the page and click to a different tab to see the latest lottery results. The navigation bar doesn’t have a quick jump to the lottery results, either. Instead, you’ll have to go to the “All Lotteries” page first, and then click to the “Latest Results” section from there. LottoKings used to offer virtual scratch cards. As of 2017, though, the site has stopped offering these games. LottoKings lets users play in millionaire raffles, too. Many raffles are seasonal, like Spain’s Christmas El Gordo, so you might only see a few raffle games when you visit. Just make sure to check in regularly and you’ll find a few options to play. 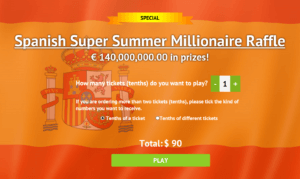 For example, LottoKings offers the regular Lotería Nacional, as well as Spain’s monthly millionaire raffles. Nope! LottoKings has been in the online lottery business for years now, first making its name as the well-respected CongaLotto. The site is protected by a 256-bit GoDaddy SSL Certificate, so all transactions and information on the website are encrypted. What’s more, LottoKings carries a license from the Curacao government. Yes. LottoKings protects its website using a 256-bit SSL certificate provided by GoDaddy. It also runs daily in-depth security scans to protect users’ personal information. Is LottoKings a real or fake company? LottoKings is a real company. It’s run by a longstanding gaming company with up-to-date licenses from the Curacao government’s gambling commission. That means LottoKings has passed legal standards to start and sustain its operations. Legacy Eight Curacao NV owns LottoKings. Legacy Eight is an investment firm focused on cultivating a gaming-centric portfolio, and LottoKings is one of the brands it operates. How does LottoKings make money? LottoKings’ sales all include a handling fee, which the site uses to fuel its operations. Definitely! LottoKings carries a Curacao gaming license. Earning and keeping this license involves compliance with government regulations and official inspections. While LottoKings is perfectly legal, though, it’s best to check if your country lets you play lotteries online. Does Lottery Critic Trust LottoKings? We sure do. LottoKings nails the two main aspects of security that we look at: site protection and official regulation. LottoKings’ strong 256-bit SSL encryption keeps users’ information under lock and key. Meanwhile, the site’s Curacao government license is a good assurance that the website adheres to financial and legal standards for online gaming. LottoKings has a straightforward system — but it’s not always convenient. Good news: LottoKings doesn’t take a cut from your winnings. They don’t automatically deduct taxes either, so you’ll be responsible for that if you do win. When it comes to payouts, LottoKings has a straightforward system. Prizes up to $600 are credited directly to your account. LottoKings pays these from its own funds, too, so there’s no delay in getting the money. You can opt to get the money through wire transfer or check. Anything bigger than $600 is handled on a case-to-case basis. Depending on the lottery rules, LottoKing might be able to claim the prize on your behalf. In these cases, the money will go directly to your account. Bigger prizes, including jackpots, will usually need to be collected in person. For these, LottoKings will send you the physical ticket so you can claim the prize yourself. Here’s where things get tricky: LottoKings reserves the right to decide whether it treats your purchase as an official entry or a bet on the lottery’s outcome. The entity paying out your prize will depend on how your purchase was carried out (a bet or an official ticket). If LottoKings handled your purchase as a bet, your prizes will be paid out by a hedging provider rather than the official lottery operator. This matters because if more than one person’s purchase was handled as a bet, and the lottery operator only registered one official winning ticket, you’ll have to split the prize money with other LottoKings users who won. LottoKings isn’t very clear about how you can withdraw your winnings. There are offhand mentions that you can receive your money as a check or through wire transfer, but that’s it. Winnings are paid out in euros. LottoKings supports a shorter list of payment methods compared to other lottery sites. LottoKings only supports 11 payment methods, and you won’t find an easy-to-check list either. You’ll only see your available options once you’re actually on the account top-up page. All transactions are processed in euro, so be sure to take exchange rates into account. Has anyone won on LottoKings? Yes, though LottoKings isn’t as forthcoming with their winners list as other lottery sites. At the bottom of each lottery page, you’ll find a scrolling display of LottoKings’ latest winners. So far, the website counts 11,451 winners with a total of $1,492,026.19 won. LottoKings doesn’t have an app, but the website is mobile-responsive. LottoKings lags behind its competitors in this department. You can use the website well enough on a mobile device, but ticket purchases can be a bit tricky. LottoKings offers several support channels and basic FAQs. Unfortunately, LottoKing’s customer support can be a bit spotty. I always received the “agents offline” frame in live chat, so my test inquiries went through their contact form. Some got no replies, while others at least got an acknowledgement within a few hours. LottoKings doesn’t change much about the standard online lottery experience. LottoKings is a decent option for online lottery play, but there’s not much to put it over frontrunners like theLotter. LottoKings has an easy-to-grasp interface, but its navigation could use some work. LottoKings’s website is pretty easy to use: You can buy a ticket in no time. 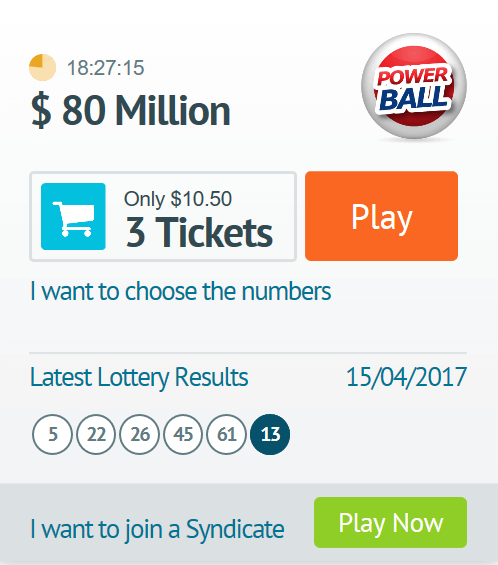 For popular lotteries like the US Powerball or US Mega Millions, you can even snap up tickets straight from the navigation bar. As noted in the “Lottery Results” section of this review, though, it can take a bit of maneuvering to get to some important sections of the website. Lottery results are buried low on the homepage, for example, rather than having a prominent section. Likewise, you’ll need to click over to a different tab in the “All Lotteries” page if you want an alternate way to check results. Similarly, there’s no dedicated navigation bar tab that takes you straight to syndicates. You can reach some syndicates (for the US Powerball or Mega Millions) from the navigation bar, sure. But if you want to see all of your options on one page, you have to edit the URL to get at the Syndicates section. For language options, LottoKings has a respectable 7 options to choose from: English, Spanish, French, Portuguese, German, Russian, and Polish. LottoKings makes it easy to buy a round of tickets. Popular lotteries like the US Powerball and Mega Millions even get “quick buy” dropdowns from the navigation bar. That means you can place an order for at least 3 tickets from any page on the site. If you want to buy more than 6 tickets, though, you might find LottoKings’ interface a bit limited. You’ll need to go through the checkout process again since there’s no way to just add more tickets before purchase. LottoKings offers more US lotteries than you’d usually get at a lottery website. Aside from the ever-popular US Powerball and Mega Millions, there’s the New York Lotto, California Super Lotto, and the Florida Lotto. Unfortunately, LottoKings doesn’t allow US players due to federal laws against online lottery play. LottoKings is worth a look, thanks mostly to its variety of games. LottoKings offers a good range of lotteries and raffles, with a few syndicates thrown into the mix. If you want an easy dip into the many possible options available for online lotteries, then this is a good place to start. After all, LottoKings is the latest incarnation of well-known lottery site CongaLotto. Plus you get the assurance of 256-bit SSL encryptions and a government license. However, there’s a lot that LottoKings can improve, too. Website navigation could be more convenient, and a mobile app wouldn’t hurt. Most importantly, it would be great if LottoKings could be more transparent about whether purchases are handled as official entries or simply bets on lottery outcomes. A hybrid business model isn’t a bad thing — syndicate-focused Bmillions does something similar — but users should have a say in whether or not they’re placing bets or buying official tickets. Hey Lina, what made you say that? When we tried LottoKings for the review, it passed our security and fraud criteria. Let us know what your problem was so we can check. Very poor customer support. Pick 3 ticket result not unnounced for 2 days , payed for scretch ticket that does not work. During live chat agent wrote that i have to write email. Wrote email and stil nothing done and no answer for all day. I am from Alaska USA. Can I play? Legally speaking, no. Alaska, like most US states, prohibits any form of online gambling. But technically, LottoKings does allow people living in the US to create an account with them. However, do so at your own risk!